January and February might not seem like the right time to be thinking about Rosé, but for me, it’s an essential part of the ebb and flow of wine buying each year. Each winter, our Importers offer a “pre-sale” of rosés from their producers. That is, they offer discounts on cases of rosé if stores and restaurants promise to buy them up front. 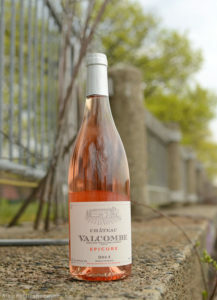 Consequently, all of the rosé we sell in a year is ordered in January! Crazy, I know. We pour over (read, not drink) hundreds of bottles from producers around the world to narrow it down to just 18 or so for the summer season. First and foremost, what’s in the bottle is the most important consideration. How was it farmed? Who owns the winery? Are they stewards of the land and their vineyards? Then, once that checks out, the fun part! Pretty labels, beach readiness (screw cap, canned or boxed?) and delish-factor all go into the decision-making process. What we don’t have to worry about with modern rosé is if they are sweet or not. Most rosé being made around the world is not, in fact, sweet, but as dry and crisp as any white wine around. That’s not to say that you can’t seek out a sweeter- we use the word “fruity”- rosé if you wish (I happen to LOVE a sparkling Gamay rosé with a touch of sweetness…their fruity flavors, textures and aromas give me “perma-smile!”), but at Bartlett’s, we only carry dry rosé, so not worry if that’s not your thing. Unfortunately, color comes up quite a bit when choosing rosé. 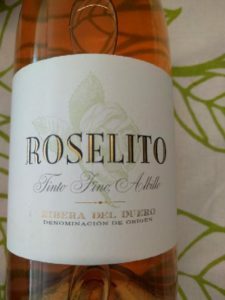 There is a strong misconception that the color of rosé has a direct correlation to its residual sweetness level. This is not only not true, but a darn shame for those deeper blushed rosés that get put to the side in favor of lighter and lighter shades each year. 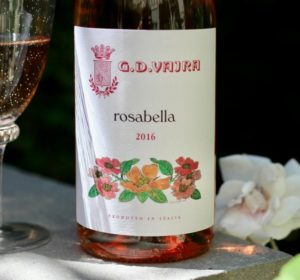 This color prejudice is such an issue for areas where rosé makes up a large portion of yearly profits (ahem, Provence…), that some winemakers are employing some dubious practices to find that perfect, manufactured shade and flavor. Offenses include chemical agriculture, manufactured aromatic yeasts (which can alter a wine’s aroma) and a number of industrial processes and additives. The worst of all though, is manipulating color by way of technology. That pale rosé color is achieved mostly through PVPP (polyvinylpyrrolidone), a polymer with a number of industrial uses. Its usage history ranges from a hair spray additive to usage in glue sticks, paper-making and resin compounds. 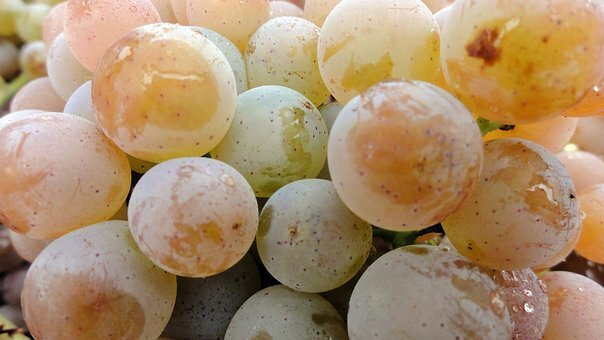 In places like Provence, some winemakers use the polymer it to achieve that perfectly-impossible-to-do-without-chemicals shade of blush consistently, year after year. Rosé wine gets its color from skin contact, not sugar content! Additionally, a quality rosé could be pale pink one year, and a darker shade the next. This natural variation is something we are quite happy to see as a sign of quality in rosé and that human hands were in contact with the wine making. If that pink shade of rosé looks a little too perfect, it probably is. Ask for wines that are additive free, organic, and made in small batches. Real wines are made with love, not chemicals. Sneak peak of what’s coming up in April at Bartlett’s Farm! Strawberries, pomegranate and just a touch of orange blossom. Zippy acidity! Grenache Noir (60%), Cinsault (20%), Carignan (10%) and a touch of Clairette (10%). Interestingly, the vines for the rosé are of an average age of 40 years. Biodynamic fruit from high altitude “Soria”region of the DO. Ribera del Duero. We are super excited for this wine, by the owner and winemaker from Domaine de Pallus in the Loire Valley!